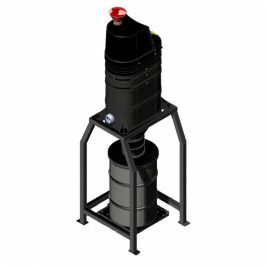 The SV-AV1 silo mini central vacuum by Ruwac features all the great benefits of its portable counterpart, the AV1000, but in a stationary design that attaches to a 30 gallon drum for increased collection capabilities. 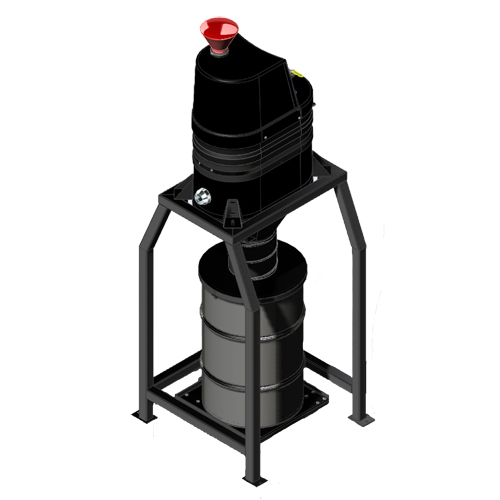 As part of the Alternative Power series, the SV-AV1 silo requires no electrical source for operation as it is air-powered. This mini central vacuum also contains no moving parts, making it fully grounded and anti-static. Inclusive sound suppression provides quiet operation of the 150 CFM vacuum’s pneumatic single venture motor while 13 sq. ft. of Ruwac’s industry-leading MicroClean filtration (with the option to upgrade to HEPA or ULPA filtration) makes the SV-AV1 virtually maintenance-free.